All services provided by Wynn & Associates are customizable to your individual needs, but our standard processes are outlined below. We will gladly provide written estimates for any service offered. Our final CAD construction plans are always permit and builder-ready. 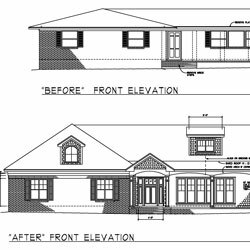 Custom Home Plans: Whatever your starting point, we work with you to develop the best home possible. Prices vary based on the complexity of the design and the anticipated path of plan development. Custom homes are typically priced by the square footage area drawn and usually start at $1/SF. 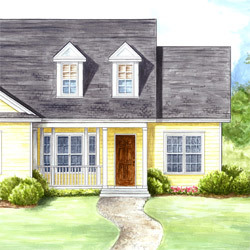 View an outline of the custom home design process, click here. Addition/Remodeling Plans: The scope of additions and remodels vary greatly, but are typically contracted on an hourly basis at $95/hr. 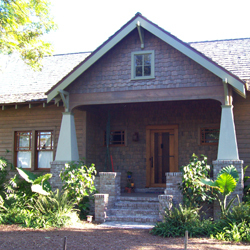 View an outline of the Addition/Remodeling process, click here. Stock Plans: After the purchase of a stock plan (prices vary, but start at $500) desired changes are discussed and/or sketched. Changes are typically contracted on a hourly basis at $95/hr. Brochures: Contractors, Developers, and Real Estate agents may be interested in furthering their marketing capabilities on a property with full color brochures or pdf or tiff files for your websites. Prices vary by the size and complexity of the project but are typically contracted on an hourly basis. Prices start at $250. Renderings: Whether you are looking for a computer-generated, watercolor or pen & ink rendering we have an in house artist that can assist you in house renderings and site plans. Prices vary based on detail level, but typically start at $300. Home Portraits: Our accomplished artists can work from a photo of your home and create a beautiful watercolor or black & white portrait. We can even frame the portrait for you. Prices vary based on the size and detail of your home, but generally start at $400. Scale Models: A step up from a 3-D view still on 2-D paper, we can build a true 3-D scale models of your project. This service is only available from the Tallahassee office. Prices start at $600 and vary based on the size and complexity of the project.